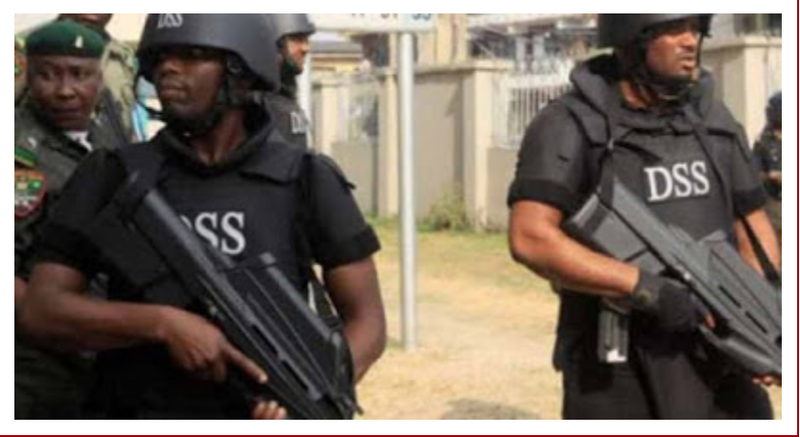 Home Nigeria Top News RELEASED BY COURT AND KIDNAPPED BY DSS; FAILED STATE; FAILED HUMAN RIGHT; FAILED INTERNATIONAL COMMUNITY AND DIMINISHING POWER OF THE NIGERIAN tribunal. RELEASED BY COURT AND KIDNAPPED BY DSS; FAILED STATE; FAILED HUMAN RIGHT; FAILED INTERNATIONAL COMMUNITY AND DIMINISHING POWER OF THE NIGERIAN tribunal. Ikechukwu Ugwuoha, Asochukwu Ugochukwu, Sunday J. Okafor, Joseph Okorie and Ekene Onuoha were the Biafrans kidnapped in Abia state few weeks after a competent court freed them. Ikechukwu Ugwuoha is the Abia State coordinator of IPOB and a survivor of the famous Aba genocide; he was arrested after many Biafrans were massacred in a prayer session. Others were on the list of IPOB members released in Aba, Abia State by a competent court of jurisdiction. Sadly, the same people released days ago by a competent tribunal of competence were kidnapped by DSS on 25th of August in transit in Abia State. A development that is quite disturbing; while their families are still in jubilation; Nigerian DSS has kidnapped them; throwing their various families back into another round of tears. The kidnap which would have been concealed and the victims executed was disclosed by two women that were discharged from the vehicle conveying the victims after a brief argument with the DSS personnel who contemplated taking the women along. Though, this is not coming as a surprise as there has been a high rate of forceful disappearance and execution of arrested/kidnapped Biafran activists. There is indeed a case of gross abuse of human right and in Biafra; the right to life is at the mercy of the men in uniform. Biafra under Nnamdi Kanu has anchored peace and discipline as its banner, but that has only made their case more deadly. At this point; they have started contemplating what civil approach can do further for them; hence it could not guarantee their safety or respect their right to life. On the side of the government; they have shown lots of barbarism and taken discipline and law-abiding nature of IPOB as a monopoly of violation. The court as the hope of the common man has lost its powers; the people of Biafra can no longer be protected under the law. The essence of life has been taken from them and without law or constitution protecting them; they have become animals and can be killed, chained and imprisoned at will. The court can free the people of Biafra, but Buhari has the final say on them, either persisting to jail them like Kanu’s case or kidnapping and subsequently executing them like the case I am on. This, however, subjects the people of Biafra to slavery, and there seems to be no other way to restore human dignity and preserve human right if not a referendum to solve the Biafra question that has caused this injustice, hatred and unlawful subjugation. The court cannot help their case, and the world seems to have forgotten them, ethnic cleansing has been their challenge and again challenging them but with a different approach. The people of Biafra have been made scapegoats for this failed State; a contraption that has defined gross hatred and shown the imperfection of human creation. The people of Biafra are always at the receiving end of bad economic or political decisions in Nigeria. They have only but once been at the helm of Nigerian government but were chased away after six years. Abused, terrorised and rigged out like they have no stake in the Lugardian establishment. The failure of this Guardian project has overseen the mass murder, unlawful detention, kidnap and execution of the people of Biafra. While Nnamdi Kanu was arrested and subsequently ordered to be released by the competent court of jurisdiction but was unlawfully flouted by Buhari, Chidiebere Onwudiwe was arrested for the past months without arraignment. Ikechukwu Ugwuoha, Asochukwu Ugochukwu, Sunday J. Okafor, Joseph Okorie and Ekene Onuoha were released by the court a couple of days ago but were kidnapped by Buhari’s DSS. This is what this failed state has given to the people of Biafra. Human Right is a thing alien or dead in Nigeria, while the State failed, Human Rights also failed and that summed up a former State. Human Right campaigners have gone weak, would you blame them when each dawn only worsens the violation and increases denial of the right to life. There is no more right to be enjoyed by Biafrans; the court can protect their right neither have they a gun to protect their right as well. They are in the middle of nowhere, found in a failed state that failed on the preservation of human rights. Murdered in Onitsha, killed in Aba, killed in Delta, killed in Igweocha (Portharcourt), arrested in Bayelsa, bombed in Cross-river and attacked in Abuja, yet nobody was found guilty or questioned for the gross abuse of human rights. Indeed this is a failed human right State and needs not to continue existing. With the legally released but kidnapped victims of DSS, what does Nigeria stand for? Where are lawyers, Honourable members of the House of Representative and Senate and human right police? What has gone wrong and what caused the death of their conscience; why can’t justice breath or legal discipline abide? Will be continued detention of Nnamdi Kanu and sustained kidnapping and murder of Biafrans solve any problem? Will it neither stop Biafrans from demanding what is their right? It is, therefore, worthy to reconsider the implication of this overdue provocation because nobody has the monopoly of lawlessness or violence. It is the responsibility of everyone to fight any form of injustice and oppose the diminishing powers of the court. When the powers of the court diminish; men draw close to the animalistic disposition, and this is the case today in Nigeria. Kidnap of Ikechukwu Ugwuoha, Asochukwu Ugochukwu, Sunday J. Okafor, Joseph Okorie and Ekene Onuoha has once more shown that the court has been stripped of its powers in Nigeria. While everything has failed in Nigeria, the last thing I ever thought would fail the international community. When a case of gross abuse of human right prevails, the international community is expected to defend humanity jealously and with core negligence of diplomatic ties. The essence of diplomatic relations is anchored or founded on the preservation of human right, and I wonder what should derail the involvement of International Community where it is desperately needed. It becomes more frustrating when it is clear that it can compel a State to observe and respect human rights, and the State would adhere. Has everything failed because of Biafra? Has International Community lost its strength and voice because it is Biafra? As Biafra has decided to respect the UN Declaration to its last letter, UN and International Community should see reason to defend the free people of Biafra and save them from unlawful desperation.